Summary : Ride via Spit, Wakehurst Pkwy, down Allambie Heights to Manly Dam. Return via Manly Vale, Balgowlah and The Spit. 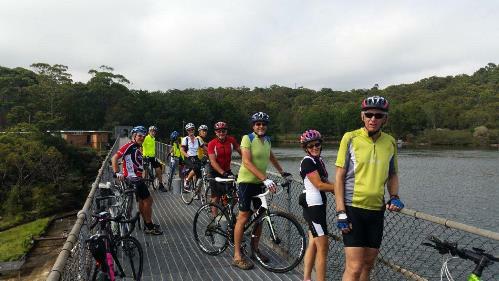 NOTES: Brisk ride out and around Manly Dam. Coffee will be in Roseberry St. Riders need to be comfortable riding on Wakehurst Pkwy which could be busy at this time. Ride via Spit and Wakehurst Pkwy to Allambie Heights. Enjoy a well earned long descent to Manly Dam. Explore the dam from the wall to furthermost vehicle access before returning via Manly Vale, Balgowlah and The Spit.